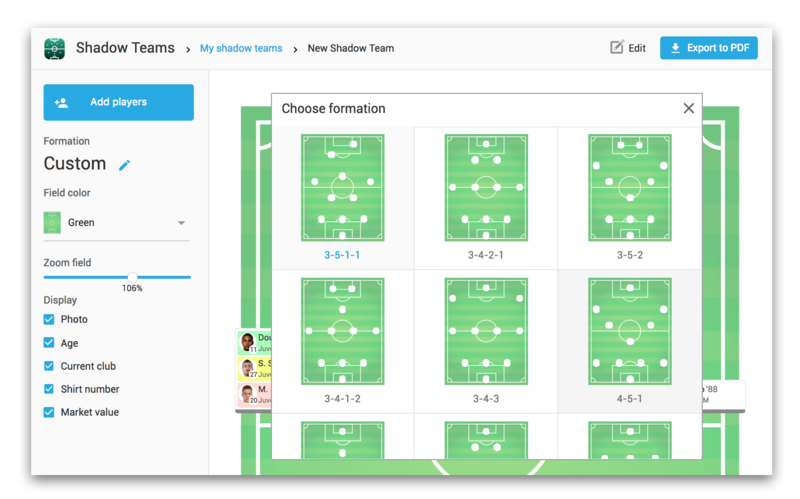 Organize and share your teams using our dedicated tool. 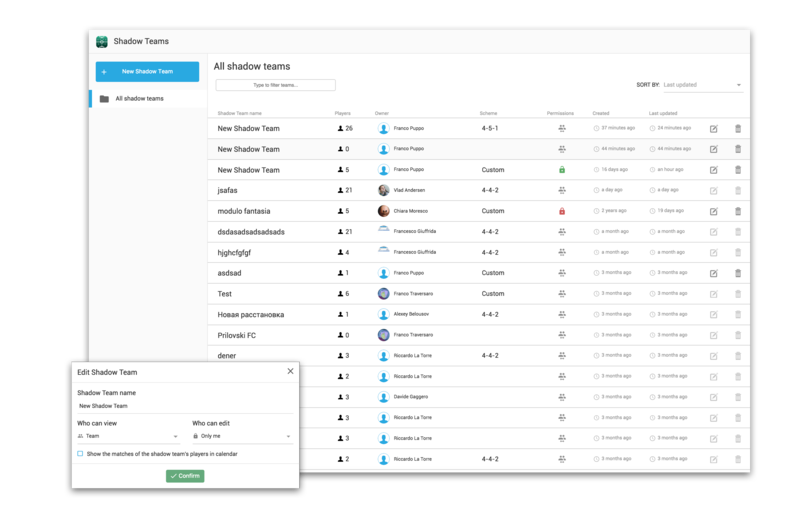 Highlight your game options entering different players into Wyscout team management tool. Monitor new entries in the youth sector or on the market. Organize teams according to the coach’s favorite tactics. 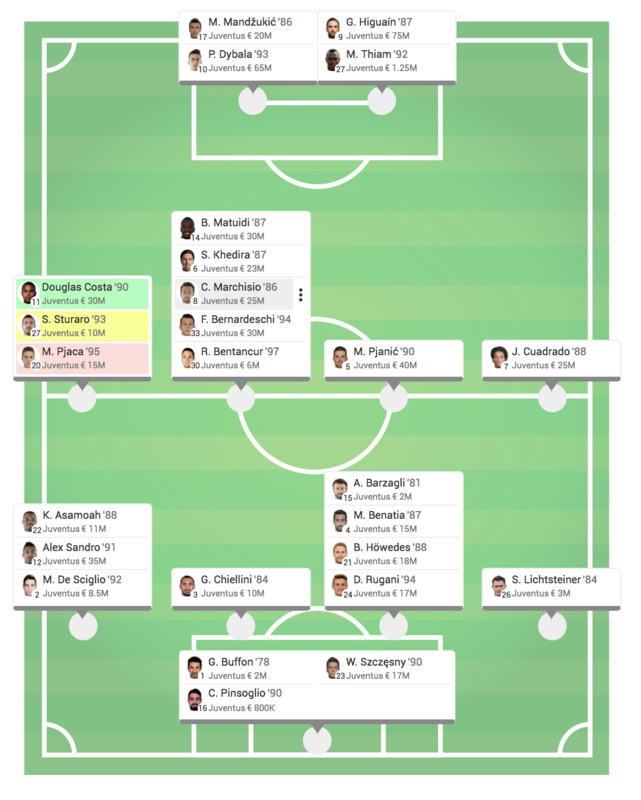 When defining ideal line-ups, you can specify multiple players for each role and label them with different colors, according to your own color code. What about red color for injured players and blue for incoming players? There is no a fixed rule: it’s up to you to create one. 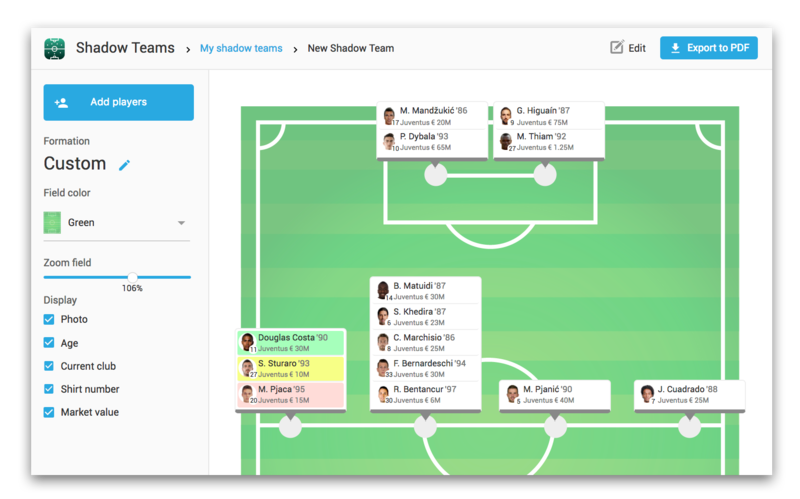 Thanks to Wyscout Shadow Team you can make unlimited line-ups and share them with your colleagues. You will be able to set up access levels and choose whether a line-up is editable by all team members or only by those who created it. You can also save it as PDF and sent it via email.